As many of you know I offer a comprehensive Online Meditation Teacher’s Training and Certification Program here on AnmolMehta.com, which I am very happy to report is helping transform lives and create wonderful meditation teachers. The feedback I have received has been amazing and many of the students who graduated are already finding success as meditation teachers and instructors (read their testimonials here: Meditation Teacher’s Training Program Details). As I mentioned when I launched this program, it is designed to help you not just master meditation, but also designed to help you earn a good life as a meditation teacher. I am really pleased at the success of this aspect of the program as well. As the program has grown there has been more international interest and demand and to handle this I had to upgrade my website to process international credit cards and other forms of payment. This was the catalyst for the creation of my Online Yoga and Meditation Store, and today I would like to highlight some of what is offered there. In the future I will be happy to write about details on how to go about building such a store if people are interested, as there was a lot I had to learn in order to create it. Some of those aspects included, how to choose the right Shopping Cart Software, how to obtain a Merchant Account for online transactions, how to set up Secure Shopping via SSL, etc, etc. Quite a bit actually goes into creating such an online presence and I would be glad to point the way for others if they like. On a similar note, webmaster and bloggers may have noticed that Google has rolled out their new Page Rank and http://AnmolMehta.Com is now a page rank 5 ! Again, if spiritual bloggers, etc would like to learn SEO (Search Engine Optimization) I would be happy to share my knowledge on that topic as well. Before anyone gets the wrong idea, the website and blog are not changing in their mission to freely help you achieve your highest human potential and nor is it mutating into a commercial venture. It will continue in its current format as a free yoga and meditation portal, the store and items I sell simply help me keep up with the expenses of running such a huge site and contribute to helping me support myself and my family. Here now are the few products I have available and a few words about what else I might offer in the future. Below are the 5 products I currently sell. They have all been received very well by the customers. Please note all these are Digital Products so no shipping is required and you can download the product immediately after purchase regardless of where you are in the world. As always all my products come with a 100% money back guarantee and all shopping takes place over an encrypted link and is 100% safe and secure. Please note that I also just opened the Affiliate Program for the Meditation Teacher’s Training and Certification Program, and you can get details on how to become a partner here – Mastery of Meditation and Yoga Affiliate Program. The program pays 50% commission on every sale . The Number #1 Meditation Teacher’s Certification Program on the web. This comprehensive training course consists of a 370 page Meditation Training Manual and 15 amazing videos to help you become a master meditator and it also gives you the knowledge, wisdom and skills to teach the profound art of meditation. You will not just earn a good living, but you will also transform you own life as well as earn good karma . Help spread the light – join us. A 370 page comprehensive Meditation Training Manual. This fully illustrated e-book includes an 8 week program to help you master the profound art of meditation and also learn the wonderful sciences of yoga and pranayama (yoga breathing exercises). This is the official text of the Mastery of Meditation Teacher’s Training Program and has been instrumental in helping the students transform themselves and their lives. The best yoga breathing exercises that I have designed in a special sequence to greatly magnify their potency and effectiveness. A complete set for health, peace, happiness and spiritual growth. This is the first product from the Tools for Personal Greatness and Spiritual Mastery Series. It is also called Anmol Pranayama 1. Get Answers to questions regarding Life, Love, Death, Karma, Suffering, Time, Passion and More. The very best of what Mastery of Meditation & Yoga has to offer. A unique 20 minute guided meditation to help you awaken to your infinite, timeless nature and discover the non-dual nature of Reality. Discover your Higher Self. I plan to add some more products in the future and some more services as well. Specifically, I feel making available to you all high quality Ayurvedic Herbs and Tonics will be very useful, as they can be very helpful to those interested in natural healing and health. Also, I will add some more digital products as well. Some other ideas are bouncing around in my head and I will check with my heart on what to do about them and update you all as they become reality. I appreciate all the support and love I get from all of you. As always, your feedback is most welcome. Thank you for helping me live my passion and I hope I can help you do the same. God Bless You All. 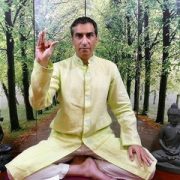 The Teacher’s Training comes complete with the Meditation Training Manual, so you will be able to study all the material without coming to the site and dealing with the ads. Sorry that the ads are disruptive here, they are actually a major aspect of supporting this website. I will though keep this in mind and see what I can do to make them less intrusive going forward. To sign up for the Teacher’s Training please visit the following link. There are no ads there :-D.
Every gift is a message of love. We appreciate your generosity.It is good to provide for your-self and your family as well. We love you too. Yogic Breathing Technique | Simple Yoga Breathing for Amazing Results Ways to Get High Without Drugs | Are Drugs Good or Bad?